A guide to strawberry picking. Everything you need to know about picking strawberries in one spot! How Many Strawberries Do Strawberry Plants Produce? Gardeners often want to know how many strawberry plants they will need to buy (Buy Strawberry Plants) and plant in order to achieve their desired strawberry harvest. Of course, there are quite a few variables involved with Growing Strawberries, and each Strawberry Variety is slightly different. However, if conditions are appropriate, soil and water requirements are adequately met, and weed, pests, and pathogens are effectively controlled, a fairly reliable harvest can be expected. 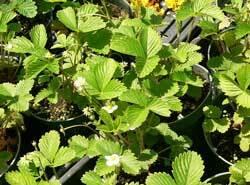 The three types of strawberry plants each produce different expected amounts of fruit. The following is a brief reference so that the anticipated harvest can be put to good use when it comes in. Be sure to plant enough plants to reap the rewards you seek! 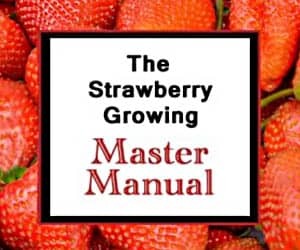 Read moreHow Many Strawberries Do Strawberry Plants Produce? Technology is constantly advancing. In fact, one might consider the “boom” in technological advances to have continued unabated since the Industrial Revolution. While most home gardeners still grow their strawberry plants they way they have for centuries, the commercial strawberry industry has corralled their own technological advances throughout the years. 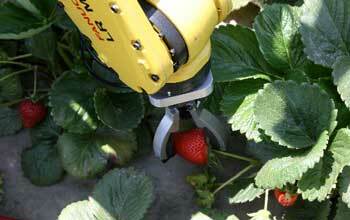 The specialized equipment that is currently widespread automates many of the strawberry-specific cultivation tasks. Technology allows for mounded rows with targeted irrigation and plastic mulch. To see videos of said technology in action, view the post on growing strawberry plants commercially. One of the latest advances in strawberry farming was developed with funds from the California Strawberry Commission: a strawberry picking robot. While the strawberry picking robot is nowhere near ready to eliminate strawberry picking jobs, it may eventually increase productivity while decreasing labor costs by automating the most time-intensive aspect of strawberry farming: picking the strawberries. If you are not quite ready to begin Growing Strawberries in your own garden but still want to experience fun and excitement of picking strawberries, this Pick Your Own Strawberries page can help! This site (Strawberry Plants .org) is dedicated to helping people develop an appreciation for all things strawberry, and the love of strawberries often develops on a U-Pick strawberry farm as buckets and buckets of beautiful berries are plucked for pies, preserves, and fresh eating. If you are thinking about going to a Pick Your Own strawberry farm, use this page to find one. 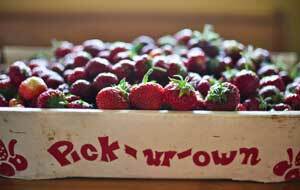 But, before you go, be sure to check out our Strawberry Picking page. It will give you tips on picking strawberries and the proper etiquette to use while you pick strawberries! Want to Get a Job Picking Strawberries? Seasonal jobs are often available around the world for manual laborers who desire to work harvesting crops. Many crops still must be harvested by hand. Strawberries are one such crop. Due to the fact that short strawberry plants require bending or kneeling, many people detest full-time strawberry harvesting. But, if you are interested in harvesting those sweet little fruits from strawberry plants, here is what you need to know and where to go to get started. Strawberry picking is a wonderful activity for the whole family. It is very rewarding too! 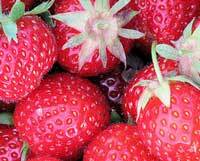 This Strawberry Picking page is here to help people to understand how to effectively begin picking strawberries. While not terribly difficult, there are a few tips that can help you pick the best strawberries, whether they come from your garden or a pick-your-own strawberry field. This site (Strawberry Plants .org) is dedicated to spreading a passion for strawberries far and wide. If we are successful, you will want to use the information on this Strawberry Picking page the next time you go to pick strawberries!